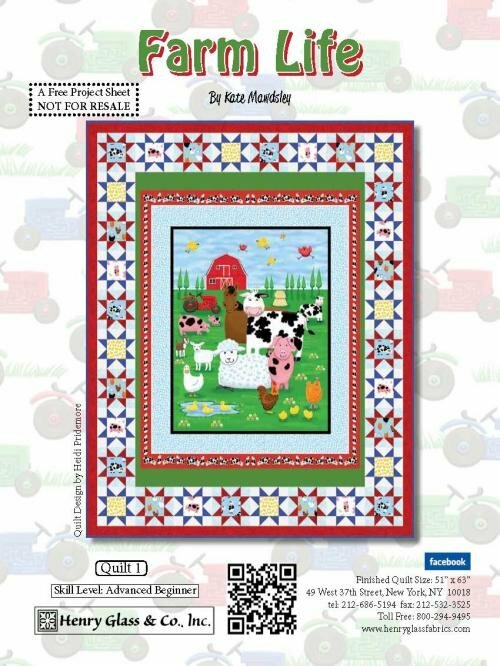 The Farm Life Quilt Kit features bright, fun farm animals in a farm scene. The kit features the Farm Life fabrics by Kate Mawdsley for Henry Glass Fabrics. The kit includes the pattern by Heidi Pridemore and the fabrics for the top and binding. The finished quilt measures 51" x 63".